Just what are those orange and pink light structures supposed to be? I think they look like flamingo butts. 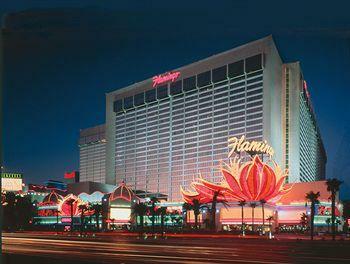 Number 1 tip for an enjoyable stay at The Flamingo: Upgrade to a Go room! For about $30/night, you absolutely won't regret the decision. A friend stayed in a basic room which was worn, dated, and just felt dirty. THe Go room bed was far more comfortable and we really enjoyed the contemporary bathroom and the wall mounted flat screen. Service at THe Flamingo was generally friendly and efficient, thought not up to the standards of many of the newer hotels. Housekeeping kept the room up nicely on a daily basis.We ate at several restaurants in the hotel. Margaritaville was fun,had good service and decent food. Burger Joint had mediocre food and kind of weak service. The buffet lacked everything!We have stayed in several of the strip hotels and while the Flamingo doesn't rank tops, we wouldn't hesitate to stay there again as long as we were in a Go room. 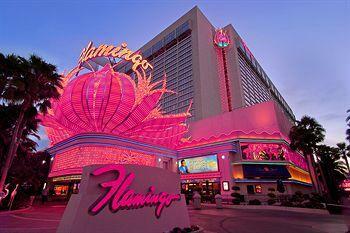 The Flamingo has history....even though this Flamingo isn't the original Bugsy Siegel's hotel, it still has the name and makes you feel like you are taking part of vintage Vegas. I went to Vegas to meet some old friends from the east coast to play slots, play tennis, drink, eat, and be merry! The gardens were gorgeous and lush. The penguins, flamingos, ducks and fish were fun to watch as we walked around the property. So glad we picked this reasonably priced hotel. It wasn't the most luxurious hotel I've stayed in, but it was fun and the location can't be beat. After meandering along for awhile trying to figure out what direction to go in, the Flamingo has started to capitalize on one of the best pool areas in the city and targeted the young Angelino crowd looking for old school Vegas on the cheap. New "Fab" rooms are replacing the dingy standard ones with laminate floors and a bed covering best described as a skinned Muppet. The new Margaritaville casino is fun, has one of the best bars in the hotel (5 o'clock somewhere) and the best service in the hotel both at the bar and from the cocktail waitresses covering the casino floor. Carlos & Charlie's has potential to be a good time, but the service totally blew the night I was there (granted, its second night in operation). Some of the older parts of the hotel have older staff who aren't quite on board. One night at Sin City Brewing, the bartender refused to change kegs when they ran dry and we literally drank the place dry. A customer tried to order two pitchers (2 for $15) and was told that it wasn't his job to change the kegs because "I'm union, man." Customer: "I suppose I should find a different place to drink." Bartender: "That sounds like a good idea." 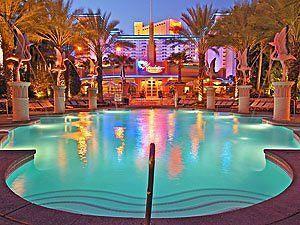 However, the whole hotel is union and the younger guys working in the Margaritaville Casino have a much better attitude. It's not a union problem, it's a people problem. Go drink at 5:00 Somewhere and see the difference in staff. If you have two Perfect Margaritas there, you might not be walking too well, though. Tip: even if you're not a player, sign up for Total Rewards. Most restaurants discount the entrees for TR members. Also, while everyone is lined up to check in before 3:00, TR members can skip the line and check in at the kiosks. It's awesome. Obviousley it's not Mandalay, the Bellagio or the Wynn, but the Flamingo doesn't pretend to be. What it is though is a solid place to stay and play in a great location. Your in the middle of the strip with easy access to all the other strip casinos. 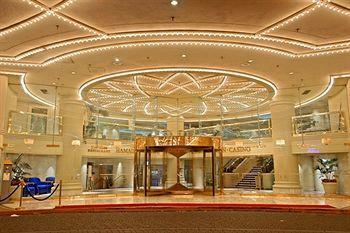 You can also walk over to Bally's and catch the frequently runing shuttle over to the Rio. The rooms (deluxe rooms that is) are average. Not great, not bad, but comfortable (it's not like your spending that much time in there anyhow except sleeping off a good drunk or getting some action!). The gaming floor is one of the better ones on the strip. 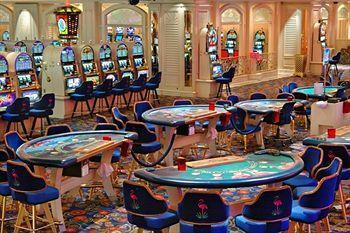 A good selection of slots and tables (and you can find $5 minimums). It's laid out nicely. Since we stayed, we visited again in March of 2012 and the Maragaritaville additon looks very nice too! The pool is the best part. Great layout, and always some solid talent to enjoy. Good beverage service there too or you can quickly head up to the snack bar area to get taken care of. 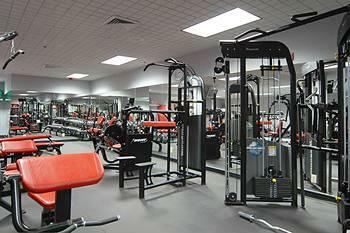 A great way to start the day recovering from the night before and to get your groove back on. First-timers can't do better. I give the rooms four stars because there's a mix of three- and five-star rooms available. If you paid $40-$60 for your room, it's a three-star room. The location in the center of the strip can't be beat. 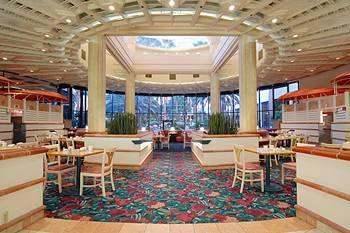 Paired with convenient access to the monorail makes getting around town a breeze. The pool is great! They absolutely rip you off on the cost of drinks ($15/$21 each), but I digress. Our housekeeper was absolutely the nicest. She was a 70 year old Polish lady who remembered all our names and went out of her way to thank us for the modest gratuity we left her. While we waited FIVE HOURS for our room to be ready, again I'm digressing, we had lunch at Carlos and Charlies. 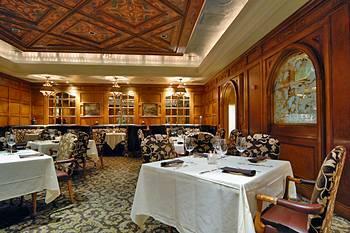 The food was fine, the service was good and the price was somewhat of a deal compared to the rest of Vegas. Make sure you always carry your Total Rewards card with you because it gets you a slight discount all over all the Caesars properties for the privilege of allowing them to track your spending habits. We waited FIVE HOURS for our room to be ready. They were telling us the maid was in the room and it should be ready soon. Three times we waited in a half hour long line, only to be told the maid hasn't released our room yet. Finally after complaining loudly we were given a mini-suite with an adjoining room. The room was really showing it's age. Every wallpaper seam in the bathroom was peeling. You could see where they repaired the drywall on the ceiling but never came back to paint over it. The room was sparsely furnished, and the furniture that was there was old and beat up. 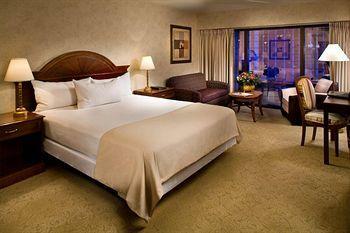 On the bright side, the adjoining room was newly remodeled and looked nice. But I have to ask, who remodels the adjoining room to a mini-suite but doesn't remodel the mini-suite? The hotel is crowded, if you are looking to get away on your vacation, this is not the place. There were people everywhere, like ants. The prices for everything was outrageous. Really, $7 for a bag of potato chips?? If you want snacks or drinks for the room. Walk our the back exit toward the monorail. 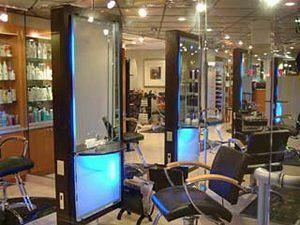 Walk two blocks east on Flamingo Blvd (an easy walk) to the gas station mini mart next door to the The Westin hotel. We saved between 350% and 700% over hotel store prices. 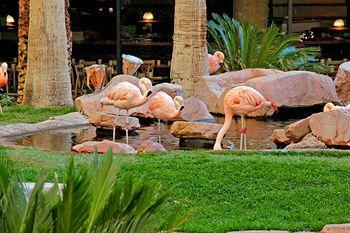 Another thing to point out is The Flamingo is a pet friendly hotel. We were surprised with how many people were navigating their dogs around the grounds. And usually it was two dogs at a time. Not really what I wanted to see on my vacation.